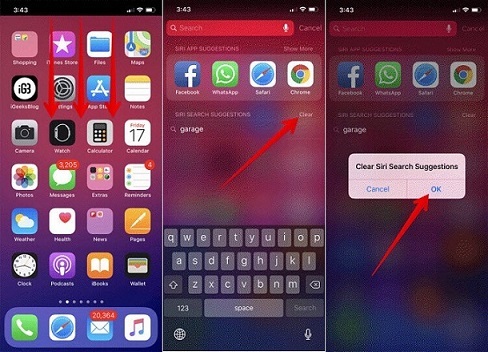 If you’re looking for how to erase or turn off search suggestions on your iPhone home screen, then you’re wanting to get rid of Spotlight Search. Spotlight search, powered by Siri, provides iPhone users with personalized search suggestions based on their app use, browsing history, emails, messages, contacts, calendar and even information from 3rd party apps. With this feature, it becomes very easy to access anything on your device within seconds. However, the downside for a lot of users is that Spotlight Search remembers everything you search for. Just below suggestion for your current search term, Spotlight Search also provides a list of your past searches. This can be uncomfortable for a lot of users, privacy-wise. So, how do you erase Spotlight Search suggestions on your iPhone? And if the feature’s not so hot for you, how do you turn it off entirely? These questions are answered below. It is possible to clear your Spotlight Search history, depending on the iOS version you’re using. We talk about how to clear this history on iOS 11 and earlier iOS versions below. Step 2: You’ll see “Siri Search Suggestions” and an option to “Clear”. Touch and hold “Clear”. Step 3: You’ll see a pop up asking to confirm your action. Tap on “OK” to confirm. And that’s it. Erasing Spotlight Search on iOS 10 and earlier is a tad trickier. This is because Apple doesn’t provide any option to clear Spotlight Search history on iOS versions earlier than iOS 11. From your iPhone home screen, tap on “Settings” app. When the Settings app opens, tap on “General”. On the General screen, scroll down and tap on “Spotlight Search”. The first option on the screen is Siri Suggestions. You can toggle this “OFF”, then toggle it back “ON”. Once you do this, previous search history is automatically cleared. You don’t need to go through much stress to clear your search history with Spotlight Search as the process is pretty easy, even for iOS 10 and earlier. Despite the absence of an official clearing option. If you’ve been using Apple devices for any length of time, you’d have learned that nothing you delete on an iPhone is truly, absolutely gone. It still remains recoverable in some form and those who know how can retrieve it. This is a security risk that most iPhone users have to live with. But you don’t. 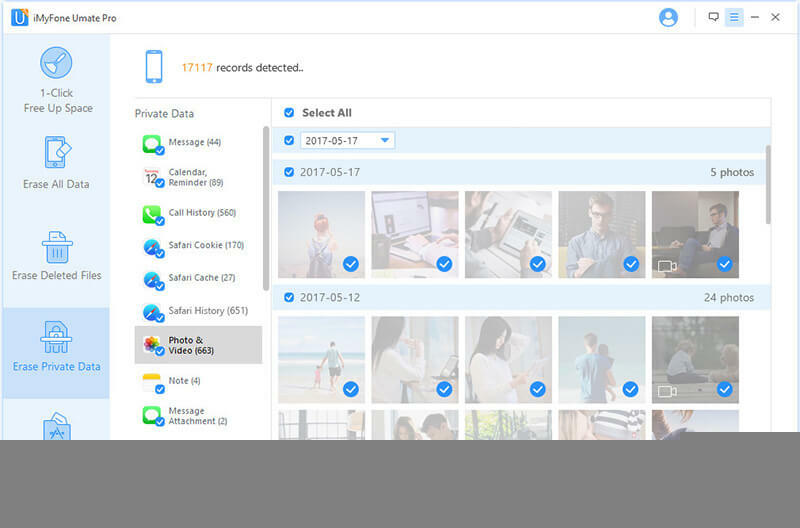 with iMyFone Umate Pro, you can delete any kind of data on your iPhone and have it gone for good. Umate Pro is a market leading iPhone cleaner and eraser that provides powerful cleaning and erasing options to all iPhone users. With Umate Pro, privacy is king and when you delete data with the app, it becomes 100% unrecoverable. Erase All Data will completely wipe the whole iPhone so it’s safe to give your iPhone away. Step 1: Open Umate Pro on your computer and connect your iPhone to it. Step 2: There are four erasing options available on the Umate Pro homepage. 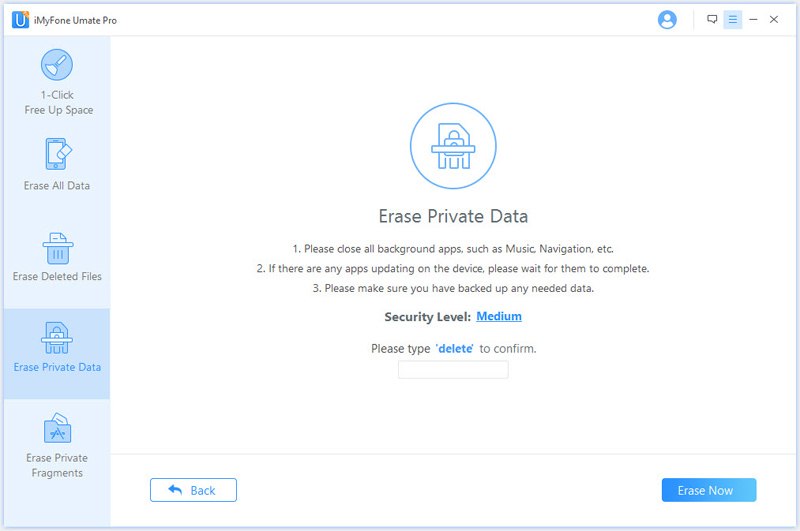 Select the “Erase Private Data” tab and click “Scan”. 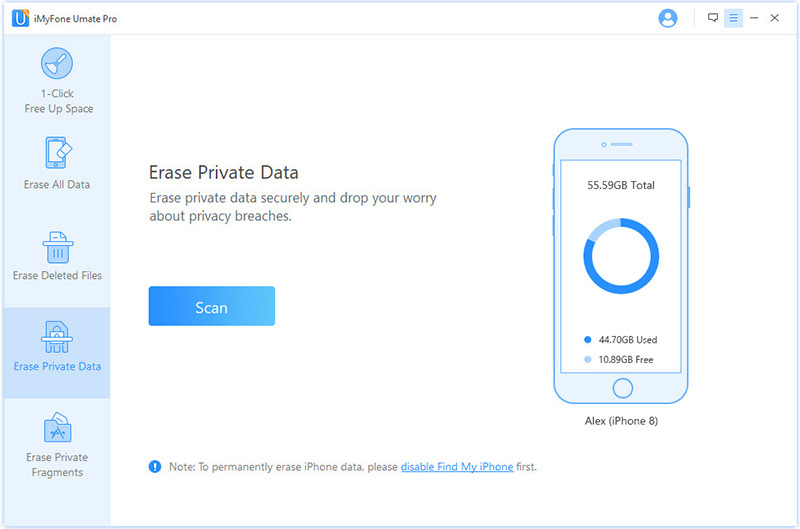 Step 3: Umate Pro will scan your device for private data and bring up a list of all your private data when it’s done scanning, including Safari history, cookies, messages, calls, WhatsApp, etc. You can click to preview any of this data and select the ones you want to erase. Then click “Erase Now”. Step 4: Type “delete” into the box and click the “Erase Now” button to confirm. From your iPhone home screen, tap on “Settings”. The first option on the screen is Siri Suggestions. You can toggle this “OFF”. And also toggle all the apps off under Search Results. 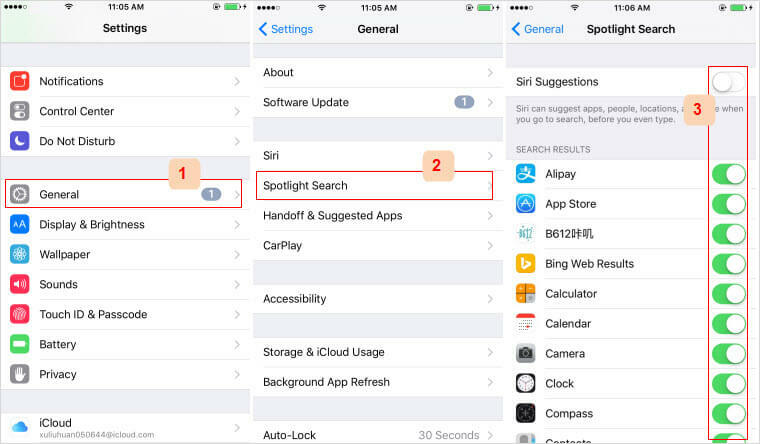 While Spotlight Search makes your iPhone easier to use, it can also compromise your privacy. These tips can help you protect yourself better. [Solved] How to Set iPhone Parental Controls Time Limit?